Mudcrutch perform in support of their new album 2 at the Ryman Auditorium. In a nutshell, it goes like this. 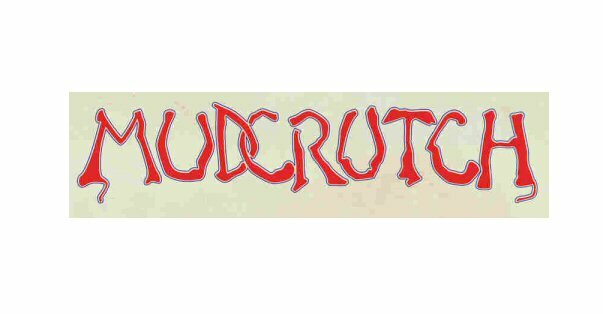 Mudcrutch is the band Tom Petty took from Florida to California in search of a record deal in the early 1970’s. Through the discovery of a serendipitous list of record label phone numbers and knocking on a lot of doors the determined rocker did amazingly get a contract for him and his friends. But, when their first single didn’t rocket up the charts they were released from their obligations. Tom would go on to hone his songwriting skills while bandmate Benmont Tench would eventually form the core of the band that became The Heartbreakers. The rest, as the say, is history. But, lost in history were two integral members of the original outfit who were left on the sidelines as Tom Petty and The Heartbreakers became arena darlings and top rate rock stars in the MTV era. In 2008, Petty began the process of bringing Tom Leadon on guitars and Randall Marsh on drums back on board to experience some of the music industry success and stardom they missed out on when Mudcrutch disbanded three decades prior. They released a critically-acclaimed self-titled debut album and played a limited amount of showcase dates in its support. 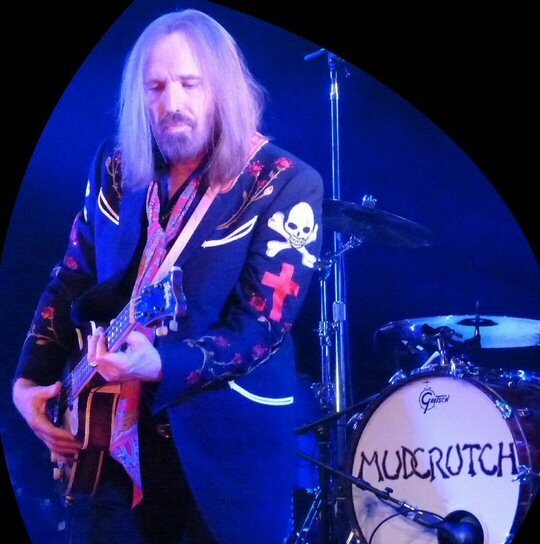 Rock and Roll Hall of Famer Tom Petty is the bass player in Mudcrutch. “We’re kind of a country, swamp, rock, psychedelic, jam band,” Petty explained following the twangy travel-invoking opener “Shady Grove” that frolicked and seeped its way into the hearts of the sold-out Mother Church attendees. The organ-infused “Orphan of the Storm” followed that featured fine interplay between the six musicians on stage. “Trailer” is the first single from the band’s new record 2. It was originally composed for The Heartbreakers’ Southern Accents project before the over-riding concept for that album got scrubbed in favor of some more radio-friendly collaborations with Dave Stewart of The Eurythmics. Behind the strength of this track Mudcrutch has hit the road for their first ever proper tour with an extended run of dates rolling into top markets including Nashville, Denver, Atlanta, Chicago, Philadelphia, New York, Boston, San Francisco before finally parking the bus and trailer back home in Los Angeles at the end of June. 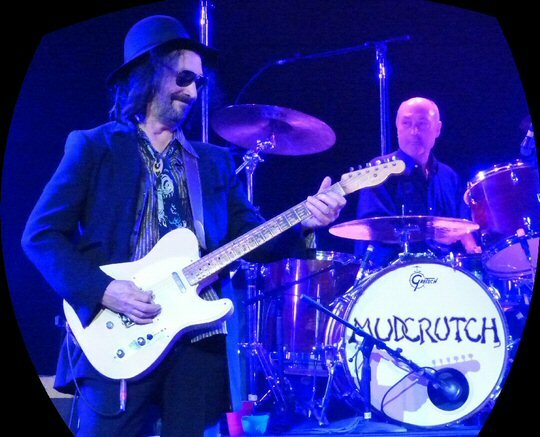 Mike Campbell, one of rock’s greatest guitarists, and drummer Randall Marsh. “We learned this one from The Byrds,” said Tom citing one of his most significant influences leading into a swamp romp rendition of “Lover of the Bayou”. “Beautiful World” gave drummer Marsh a moment to shine singing from behind the kit. If you’re looking for characteristics that distinguish Mudcrutch from The Heartbreakers one would be that this group has multiple lead singers and they support each other on harmonies. Another is that Petty holds down the bottom end in this band favoring bass to the six string on most numbers. “In about nine days we’re going to be cruising into New York City and Tom Petty is going to be inducted into the Songwriter’s Hall of Fame,” Leadon continued to an enthusiastic ovation from the Ryman faithful. This led into an introduction to one of the first songs Petty brought to the Mudcrutch project. “Save Your Water” is a pleasing song about parting ways and the biting send off definitely had all the characteristic elements in place that would result in major musical accolades for Petty later in his career. Benmont Tench behind the bench in Nashville. The next two tracks from the new album slowed it down a bit. The moody “Hungry No More” was followed by the quieter and reflective “I Forgive It All” which saw Tom finally reach for an acoustic. 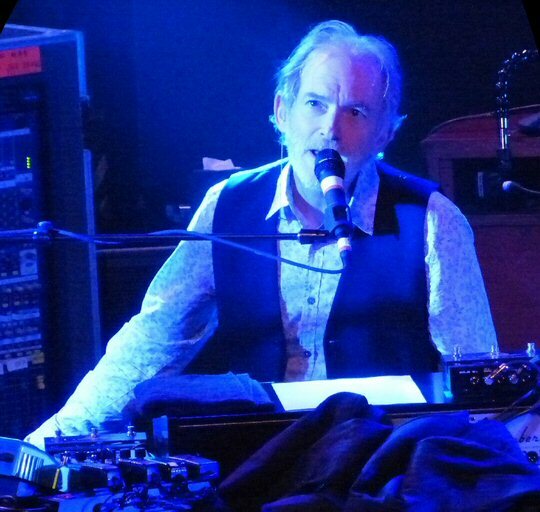 “Welcome to Hell” showcased Benmont and his boogie woogie piano stylings while “Victim of Circumstance” provided a situation for the ever capable guitarist Mike Campbell to take a turn at the mic. “Bootleg Flyer” brought the main set in for a thrilling landing with extended jamming and an uplifting guitar duel. The encores consisted of two early rock and roll classics with a man Tom Petty called his “favorite saxophone player in the world” Jim Horn sitting in to punctuate Chuck Berry’s “Carol” and Jerry Lee Lewis’ “High School Confidential” to end a historic concert on a rockin’ and reverential high note. 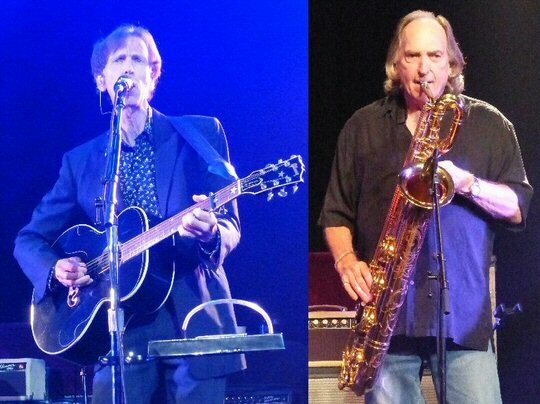 Mudcrutch members Tom Petty, Tom Leadon, Randall Marsh, Mike Campbell, Benmont Tench were joined by country music legend Herb Pedersen who was helping out on his tour with guitar, banjo and vocal accompaniment. Tom Petty and company demonstrated that no matter what configuration the proven award-winning bandleader puts on stage they’re going to pull through when it counts. Even without the barrage of hits made famous by his other band Mudcrutch proved though their own strong songs and powerful presentation of them that they are ready for the big time, too! Tom Leadon and special guest Jim Horn on saxophone in Music City. Opening for Mudcrutch were The Shelters from Los Angeles, California made up of Chase Simpson, Josh Jove, Sebastian Harris and Jacob Pillot. Jove and Simpson are credited on Tom Petty’s 2014 album Hypnotic Eye and Petty returned the favor by producing their debut EP. The band’s upbeat set was energetic and engaging and displayed what many critics call their trademarked classic yet current sound that is steeped in a strong 60’s vibe. The Ryman Auditorium in Nashville is the Mother Church of Country Music but she continues to showcase a wide array of artists such as Mudcrutch. The venue reflects its history with wooden pew seating paired with modern lighting and sound. Some consider it one of the finest sounding rooms in the States. Upcoming events at the Ryman include Ringo Starr, Greensky Bluegrass, Melissa Etheridge, Ricky Skaggs and Bryan Ferry. The Shelters from Los Angeles were an impressive and well-received opening act.